DON’T MAKE THIS MISTAKE WHEN CREATING YOUR FINANCIAL RECIPE. By mistake I don’t mean turning the oven on and burning your budget either as I know some people despise using a budget. I have nothing against you because what’s yours is yours and what’s mine is mine. Those of you who WANT to get RID of DEBT and build a thundering savings account and sizable retirement fund I have one unique financial tip for you-learn to read a recipe. I’m not the Mike Holmes of Budgeting nor the Jamie Oliver of the kitchen but I do know how to read a recipe and I do know how to use a budget. What I’ve learned is that it’s not about just the planning stage it’s everything in between and on-going maintenance similar to being a homeowner or naked Chef. Once you understand the basics of a recipe especially when it comes to baking you will understand just how precise you need to be to have the best product. Finding a recipe you are interested in creating at home means you should read the entire recipe from beginning to end. Today we are going to bake a loaf of bread. Why bread? Well we often compare Money to Bread or bringing home the bacon. Either way for bread to rise you need to follow instructions, use the right ingredients and always keep an eye on the oven. The same goes with your financial situation because your budget will either make you happy or piss you off. The only reason a budget will fail is because you aren’t following it like a recipe and keep substituting ingredients that don’t work with it. In the process of reading a recipe your mind starts questioning whether you have all the ingredients, cooking utensils or the skill to complete the task. Most often you may get away with missing an ingredient but the taste will never be the same or the product may look different. Always consider your options with any elimination process. For example, if your goal is to save $1000 for the year but you keep taking money away from that savings goal eventually your bread recipe will flop. Substituting ingredients to enhance a recipe is a better option than leaving something out completely. You see every ingredient in a recipe has a job to do even something as simple as a pinch of salt to enhance flavour. Your savings category is there to enhance your financial security and without it you may feel punctured similar to a deflated loaf of bread. Once you decide you’ve found the best bread recipe you purchase the ingredients you don’t have on hand or you prep your cooking station using what you’ve found in your pantry. Just remember that if you tell yourself that your bread recipe doesn’t need a certain ingredient it may not rise or taste the way you want it to. Taking the yeast out of a loaf of bread is like removing your savings category. You’ll end up with a flat pita or flat broke. Similar to budgeting when baking you need to locate the ingredients to make sure that you can complete the task. A budget requires sifting which means every month you should complete a budget inspection to see what you can add, eliminate or substitute for best results. Why am I eliminating this? How will this improve my budget? Can I substitute it with something comparable? Removing something from a budget that is critical may be a mistake you don’t want to make. For example: Eliminating emergency savings to pay down debt. I an a strong believer that everyone should have some savings for a rainy day that they own. That means no credit cards, line of credit or calling a life-line for support. Paying debt off is very important but so is making sure your recipe rises or bank account grows. Don’t deflate the loaf of bread before it has risen, watch the temperature and never open the oven unless you have to. Same goes with using your emergency money, only use it for emergencies. Everything we do requires inspection even our monthly budget which is why a budget inspection is not only critical but this simple step can speed up your debt repayment process and keep you motivated. Your budget isn’t going to call you up on the phone every month to give you a sunny run-down of what’s been going on, this is YOUR JOB. Feed yourself because no one else will come around to make sure your recipe is a success. How do you complete a budget inspection? 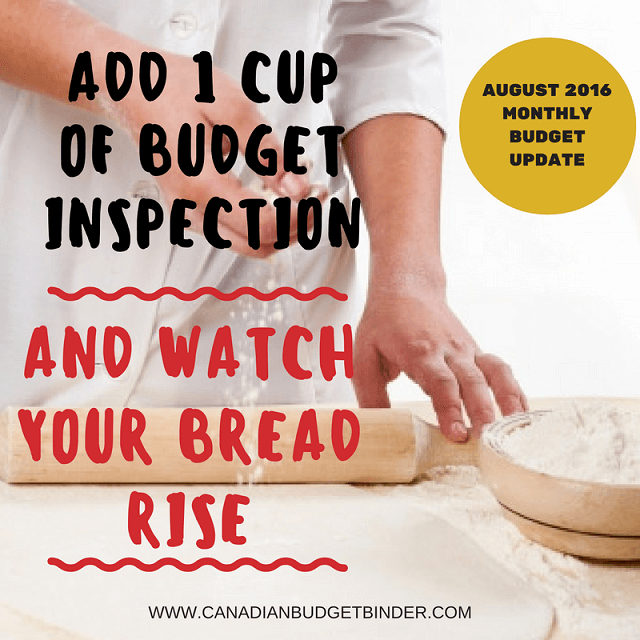 A budget inspection is NOT meant to cause you stress it simply is an in-depth look at how your budget is working for you and making changes that need to be done for a successful recipe. 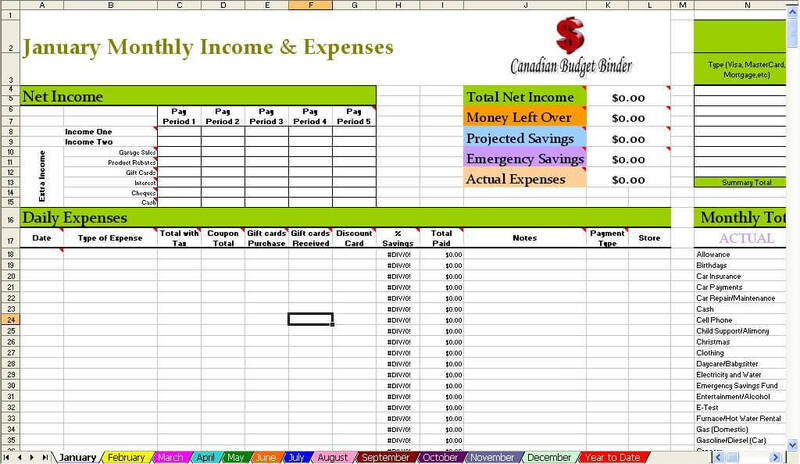 What Mrs. CBB and I do is every month we sit together with our budget spreadsheet and review it in it’s entirety. There have been months where we notice we are spending too much or our receipts are showing expenses that we need to add to our projected expenses. We make notes as we go along and decide whether we need to make changes now or in the new year when we revamp our budget for 2017. Sometimes you need to change your budget numbers because your bills increase or decrease. You may also notice that you have a budget category that doesn’t get used or one that is missing. Whether you are single or budgeting with a spouse completing a budget inspection not only encourages you to keep budgeting but eventually you become your own budget expert. You should know everything you need to know if I were to ask you questions about your debt and budget. This my friends is budget success! Get to the point where budgeting becomes a habit and not a chore that you despise. If you’re one of those people who want to get rid of debt and are excited to use a budget but call it a day once you have it set up and hope it will work it’s magic, you will fail. A budget is not complicated nor is it easy but what it takes is a bit of elbow grease to get the right elasticity to help increase your knowledge base. Watch it rise the more stretch you put into it and soon enough you’ll be buttering your bread with a smile. I’m not afraid to be blunt about budgets because I’ve talked to so many people who either don’t budget or put very little effort into keeping a budget on tap. Some people get so excited to start budgeting and things start heating up, the budget is cooking and then they let it sit on warm for too long and eventually it’s forgotten. It would be interesting if you could film yourself so you could listen to what your mind is telling you. Most often we act out what we tell ourselves unless we fear the outcome. We have more conversations with ourselves then we do with real people and often we are our own enemy because we forget to fight back for what we want. Don’t let this happen to you because you’ll end up with a flat loaf of bread. Don’t fear your Debt but most of all Don’t fear Budgeting. You too can be successful even if you are working with low-income. It’s not about how much money you have it’s how you save it. Put that on your refrigerator. Every recipe needs tender love and care as does your finances so complete a budget inspection often and clean up any mess that’s trailing behind. Don’t be afraid to butter your bread especially when you’ve worked hard to keep it in your pocket. How often do you complete a budget inspection? In August we spent a little more on life by going out and doing something as opposed to staying at home. I was also working less over the summer and really enjoyed the time off at home with the family. I’m back at my second job now but have opted to get fewer hours than I did earlier this year so I can focus on my family and getting the renovations done around the house. 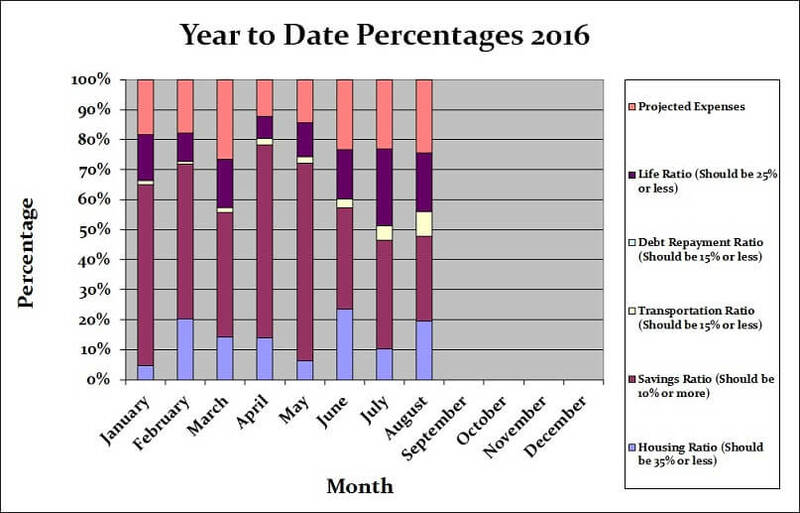 With our budget inspection this month we started talking about increasing our grocery budget in the coming year. With the rise in prices, the little one eating more and the wife eating low-carb we likely will have a small increase. Our savings of 28.30% includes savings and investments and emergency savings for this month. 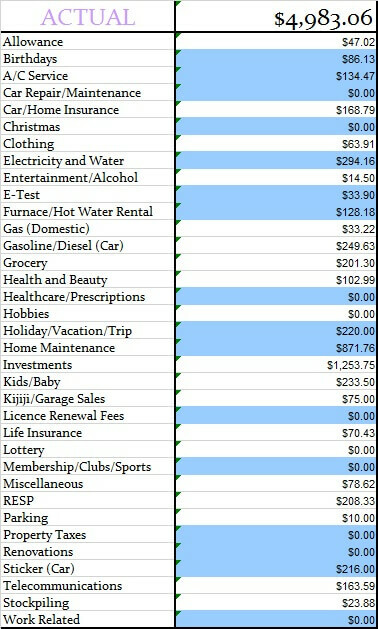 If you include the projected expenses savings, we actually saved 52.65% of our income. That’s $4146.61 going into savings or investments of some description or another. The other categories were well within the defined percentage limits. 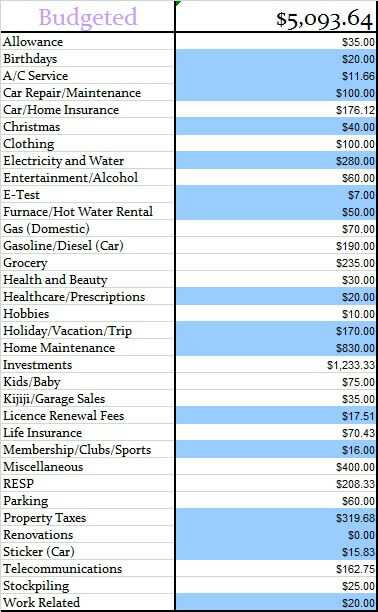 Our projected expenses this month is at 24.35%. Almost 9 years ago I started working in Canada making a bit over minimum wage and have since moved up the ladder. I’m now working very hard to secure my dream job with one foot in the door. We aren’t all lucky but if you do the best you can at least you can look back and say you gave it a shot. Time for the juicy category numbers and to see how we made out with our monthly budget. Below you will see two tables, one is our monthly budget and the other is our actual budget for the month of July 2016. This budget represents 2 adults and a toddler plus our investments. Here are my September 2016 goals along with whether I completed tasks from August or not. Call around to lawyers to talk about getting a Will written up- Nope big fail again. Finish sanding and stain our sons kitchen table and chairs – Fail. We’ve decided to just give it away as we have enough kiddie furniture. Start revamping old blog posts (2 a month)- I completed 1 in August. Finish the master bathroom shower- Fail, however the wife and I started talking about getting it done as we’ve bought more renovation materials. Pick out new tiles for bathroom and accessories (mirror, towel bar holder etc. )- Pass We picked out tiles and accessories. Finish the walls in the baby room- We moved almost all of his toys to his room to eliminate distraction for him. Now we need to either sell or giveaway what he doesn’t need or use and finish the room. Write down what we want in our new kitchen- We may end up targeting the basement first. We’re still talking about this. Start researching vacation spots for 2017- Looks like we may go to Spain and England. We will be making basil pucks for the winter staring in September. Sand and protect the deck for the year- We will be adding a pergola to the deck so I’m going to be working on this for the rest of the summer. I’m in the planning stages now and am hoping to buy the materials from Home Depot in August. Purge our clothes little by little– We managed to give away 1 box of clothes in August. Clean out the entire garage- I cleaned the garage again this month but only half as the other has our second vehicle which is collecting tonnes of dust. I am considering selling it and banking the cash until we need to get a new vehicle. Cut open the central vac system so I could remove part of our son’s train set that he fired down the chute.- Pass and hope I don’t have to do that again. Tidy up the office (or else)- Um, nope. Fix the strapping on our second-hand 3 seat swing– I was looking into costs to get new vinyl and they want over $100 for a roll. We had 2 straps break due to sun damage which was a bummer since we had just bought it used this summer. The other day while out walking with the boy a neighbour had the EXACT same lounge chair as our swing with the same cushions. I picked it up for free on the curb so I’ll strip the vinyl and use it to repair our swing for FREE. Dusted the ceiling fan which is about 25 feet up in the ceiling as well all of my travel decor. Installed my dash cam that the wife got me for my birthday, finally! 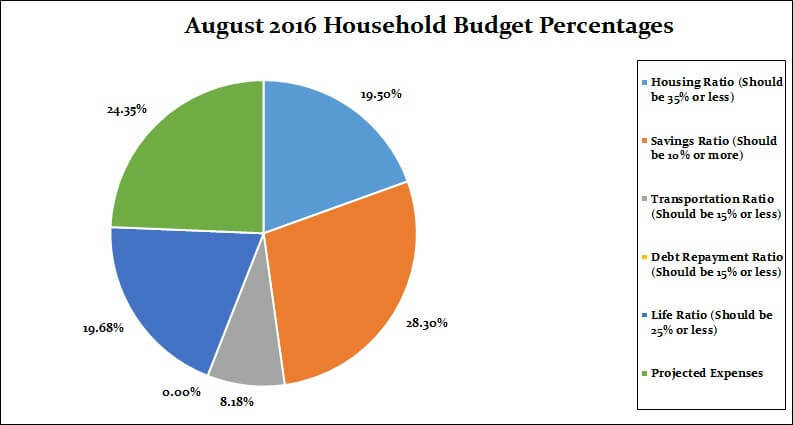 That’s all for this month check back at the beginning of September 2016 to see how we made out with our October 2016 budget.